Welcome to Leeds Hypnotherapy with Claire Hegarty as seen on Television, a leading provider of Hypnotherapy with powerful results. Stop Smoking, weight loss, anxiety, panic attacks, phobia, fear, stress, IBS, weight control, performance, relaxation, confidence & smoking, psychosomatic disorders, eating disorders, public speaking, habits, addictions, misuse, sleep problems, infertility, pregnancy issues, obsessions and compulsions, depression, pain, headaches, analgesia, anaesthesia, abuse, Trauma, PTSD (post-traumatic stress disorder), Grief, loss, separation just to name a few. 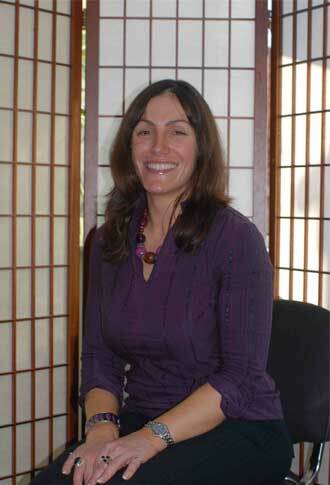 Claire Hegarty is a well-respected hypnotherapy expert not just in Leeds but in the whole of the UK. She has become one of the most popular and most well-known hypnosis experts in the UK with her extensive knowledge, qualifications and her vast range of experience. Not only is Claire Hegarty a highly respected Leeds Hypnotherapy expert, she is also a trainer of NLP where she trains other people in the field of Hypnotherapy. block and stutter, phobias, stress, anxiety, depression, trauma, eating disorders, asthma, eczma, psoriasis, cancer, allergies, IBS, UC, fear of public speaking, Life Coaching, Business Coaching, low confidence, sexual problems, gender issues, low motivation, weight loss, low self-esteem, business start-up, business coaching, brand development, weight loss with Trance Band and Hypno Gastric Band and much more! The aim of Leeds Hypnotherapy with Claire Hegarty is to ensure that all of our potential clients who are looking for hypnotherapy in Leeds to improve their life and resolve any issues they may have to receive the very best and dedicated professional service. We are focused on offering professional, confidential help and hypnosis for lasting change with powerful results. If you are looking for hypnotherapy or NLP in Leeds to help change your life by using powerful hypnosis, NLP, EFT, Cognitive techniques with powerful results to achieve real goals and make positive changes to your life then we can help you. Weight loss hypnotherapy, Stop smoking hypnotherapy, hypnotherapy for anxiety, hypnotism, hypnotherapy for depression, hypnosis for sleep problems, hypno gastric band, sports hypnosis, Weight Loss and Weight Management, Life Coaching, Business Coaching, Hypnosis to Improve Memory, Motivation Hypnosis, Hypnosis for Phobias, Exam help, Confidence Building, Anxiety and Stress Management, Sexual Problems, Comfort Eating, Relationships, Fear of flying, Public Speaking, Trance Band, Post Traumatic Stress Disorder, Irritable Bowel Syndrome, Sports Psychology and Hypnosis, Pain Management, Stuttering, Financial Abundance, Comfort Eating and Cannabis Dependence are just a few of the many issues that can be helped by using Hypnotherapy. If you are looking for a Leeds Hypnotherapy expert or a Life Coaching expert to help you with any of the above issues then we will be more than happy to offer you free advice over the phone or a free consultation at one of our offices. The people of Leeds are aware that hypnotherapy can help with many issues such as weight loss, confidence, phobias and being scared of exams but did you know that you can use our Leeds Hypnotherapy services to help with your driving test as well as becoming a better public speaking and becoming more confident with dating and relationships. At a time when obesity has become such a huge concern in the UK and with a recent report that has stated that the government needs to make an immediate and dramatic policy change to reverse a pandemic of obesity after it was reported that by the year 2030 there will be 26 million people in the UK who will become obese which is a rise of 73% we are happy to inform the people of Leeds that Claire Hegarty the leading UK Hypnotherapy for Weight Loss expert is offering her powerful weight loss technique called Trance Band. The popular Hypno Gastric Band technique Trance Band is a powerful hypnotherapy weight loss technique that helps people who are overweight to become slim. It is a common fact that diets when they do help people to lose weight only work when you stick to them. Once you stop a diet you then tend to go back to your old ways and put weight back on but with our Leeds Weight Loss Hypnotherapy technique called Trance Band, you no longer need to diet or worry about putting on weight once you have stopped your diet. Our Trance Band technique allows you to lose weight without dieting and allows you to lose weight while still enjoying your favourite food. A recent report claimed that diets do not work for most people as a diet does not tackle the real issue and does not tackle the bad habits or may have with food and does not tackle any negative problems you may have with dieting, whereas the Leeds Weight Loss Hypnotherapy technique does tackle all these issues and offers you a powerful weight loss technique to help you become slimmer and healthier. Trance Band is a powerful weight loss technique that is being talked about not only in Leeds but all over the UK with its amazing weight loss results. Claire Hegarty who invented the Hypno Gastric Band technique puts her reputation on the line with every single client who wishes to lose weight with the hypnotherapy band technique by offering powerful results. So if you are looking for Weight Loss Hypnotherapy in Leeds then please read our information about Trance Band and see how it can help you become slimmer or read more information about Weight Loss Hypnotherapy to understand how the hypnotic technique which is also known as Gastric Band Hypnosis works.